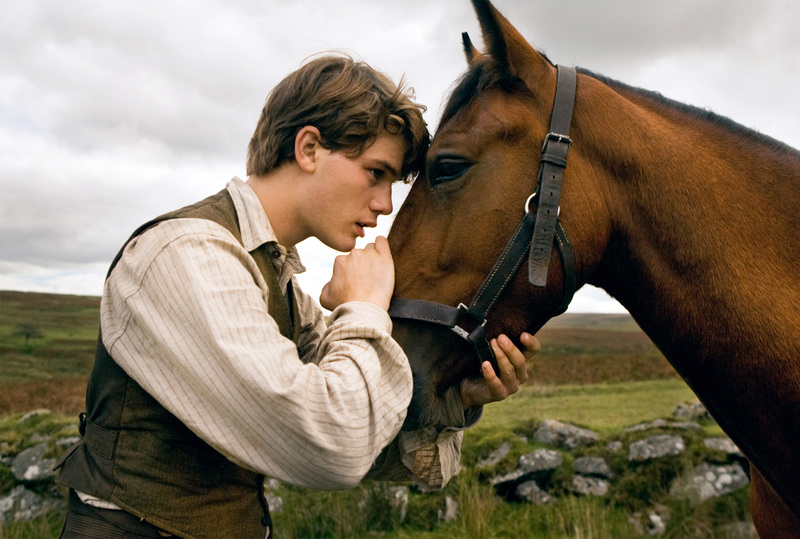 As a youth, Albert (Jeremy Irvine) loved and trained a horse on a nearby farm. Then his drunken dad (Peter Mullen) bought it for far too much, to the chagrin of his mother (Emily Watson). But Albert gets the horse to work and everyone cheers him in the rain. Then war happens, and the horse is taken from them. Albert ends up fighting. Things are nasty and people are badly hurt. So is the horse. I think this was a terrible film. Apparently, it was an amazing stage play, and that came down to fabulous puppetry to create the horse. But I found the start of this film absolute trite, and then the war parts were pathetic. Although the animals were treated badly, and that was unpleasant to watch, but probably the closest thing to realism you would find. I thought this was really a terrible, terrible film. War Horse was nominated for Oscars for Best Motion Picture of the Year, Best Achievement in Cinematography (Janusz Kaminski), Best Achievement in Music Written for Motion Pictures, Original Score (John Williams), Best Achievement in Sound Mixing, Best Achievement in Sound Editing and Best Achievement in Art Direction.